Valentine’s Day offers up the perfect time of year for brokers to love their brand. Branding is the first impression a company will have on a prospect. A strong brand can exemplify products, mission, policies or services to customers. It provides value, benefits and insight into the soul of a company. It also enables agents to personify the broker brand in all of their marketing and communications. Great brand names seem to follow a few different themes, the most prominent being the founder’s name, such as Ebby Halliday, REALTORS®. Others describe what you do, like Guarantee Real Estate, and some describe where you operate, like Georgia Properties. Look at your brand name and make sure you’re investing in a brand that has marketability along the lines of one of these themes—or another theme that “speaks” to your audience in a meaningful way. A broker’s brand has a primary image, aka its logo. Your logo is your everything, and the best logos become household names. Consider how the logos of Nike, Apple and Intel inspire confidence, communicate a sense of history, quality and reliability and become the cornerstone of a company’s identity. Beyond your logo, brokers often use other images, such as an iconic community photo, a corporate office photo or a landscape photo. Be sure to capture the essence of what the image does for your brand. These images can be used for your website, social media pages, or other places where you or your agents use images to depict stability, company history, demographic area and dreams, such as the image of a cabin in the countryside. Remember that selling a home is not just bricks and mortar. A home is the feeling of a warm fireplace looking out over a snowy countryside, the fulfillment of a dream or the accomplishment of an objective. Take care to license these images exclusively, which is critical for copyright and brand uniqueness. Your brand absolutely needs color. Typically, you need three colors that go well together. Color accentuates your website design, yard signs, flyers and any other marketing materials where you or your agents market the brand. 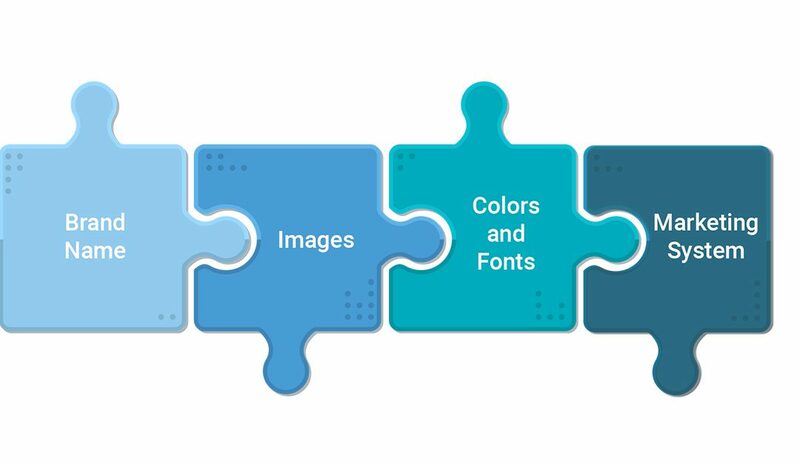 Also, you need to specify the font type, color and size so that agents can have templates easily accessible and ready for deployment at a moment’s notice. In today’s competitive time-to-market environment, it’s not acceptable to wait days or even weeks for marketing materials. Having your brand properly configured and promoted is just the first step. The second step is making sure your agents are proud of your brand, and using it to market themselves, your firm and listed properties. This takes a marketing system that’s preloaded with your branding so that agents can’t change it. No matter what an agent needs, the brand is in template format, ready at the click of a button to order business cards, flyers, yard signs, coffee mugs, etc. Just like Amazon, high-quality marketing materials need to be delivered promptly, efficiently and professionally. We launched our Amarki brand in 2018 after two years of a battle-tested beta empowering over 15,000 agents. Our platform enables our clients to get their listings to market faster, more professionally and with superior quality using one simple interface. We encourage you to visit www.Amarki.com to see how our marketing system will allow your brand to get the love it deserves. Consider the possibilities: your brand, your success and our combined automated intelligence.